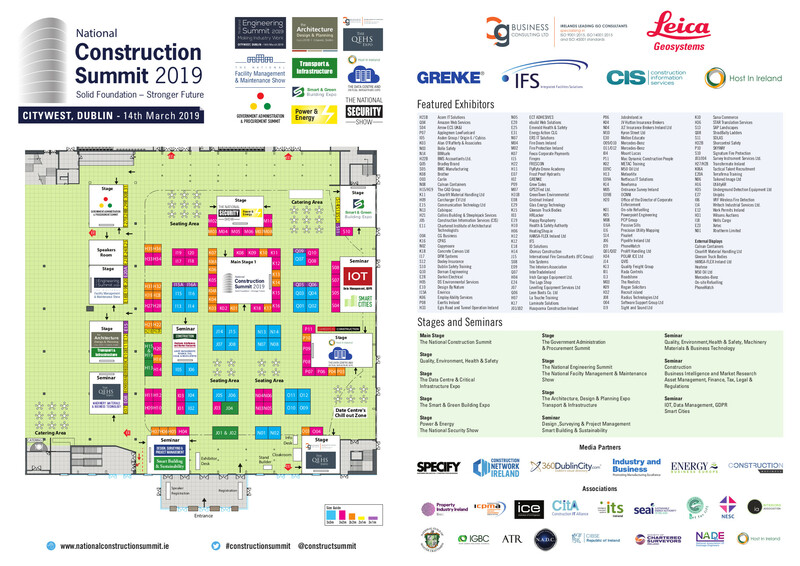 The QEHS Summit is being held on 14th March 2019 in the Citywest Exhibition Centre. Sponsored by Irelands leading ISO Consulting firm, CG Business Consulting. This gathering of over 1000 Quality, Environmental, Health and Safety professionals from Irelands largest companies offers an opportunity to keep up-to-date with the latest industry trends, innovations, best practice and new technology solutions in the areas of Quality, Environmental and Health and Safety. The day consists of a main stage with our hand-picked speakers who are leading quality, health, safety, lean and environmental professionals from construction and engineering industries. Hear from some of the biggest and brightest industry thought leaders as they discuss various topics related to ISO and its benefits (compliance and tenders), Lean, managing occupational health and safety with ISO 45001, digitisation and becoming greener in construction. The main theme of the day is ISO 45001 which is the new ISO standard for occupational health and safety. It has become one of the most eagerly awaited standards in the world and is set to drastically improve levels of workplace safety. Given that ISO 45001 will become part of the business norm, regardless of whether organisations choose to adopt it or not, it’s important for companies to stay abreast of the latest developments. CG Business Consulting will provide an in-depth seminar on ISO 45001, giving you all the information required to comply with the new health and safety standard and how to achieve certification.